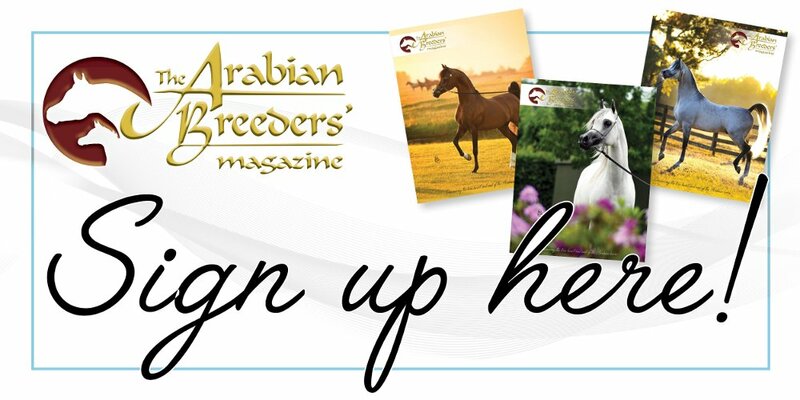 The Girl with the Jumping Arabs: She’s the One – Just don’t tell her Dad! Aside from her jumping prowess, Penny recently attended the RASS Finals in August as I detailed in last month’s write up and the pictures arrived not long after the blog was live. As I now have the capability to school her to a sufficient standard under Erica’s tuition, she may occasionally become a mare to watch in the show ring next year. Between showing, jumping, eventing, and any other discipline she turns her hoof to, finding time for her to have her own offspring is becoming increasingly challenging. I personally hope that embryo transplants become more affordable in the coming years; she’s spent seven years convincing us that she’s the one, I think she’d be royally unamused if she took two years out of work for a baby. Certainly for now, anyway. 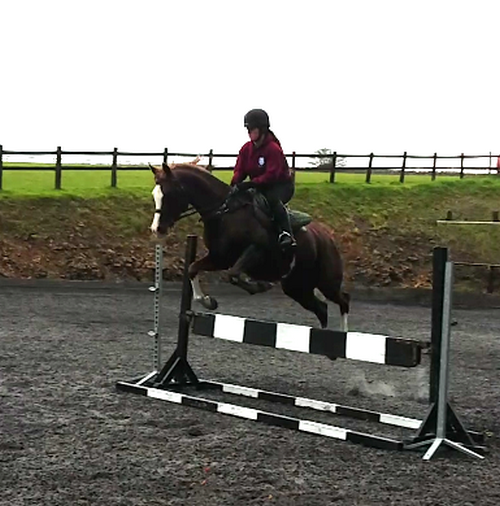 Annia Aurelia making small work of her first real jumps. The big daddy, Marcus Aurelius (Aurelian x Fiesta Magica) has also been making the most of the weekends when I’m around to amuse him. Although he’s only 16, he has fully embraced the naughty old man status that mum’s old Anglo Arab Woodwind – Woody – enjoyed when Becky and I were growing up. 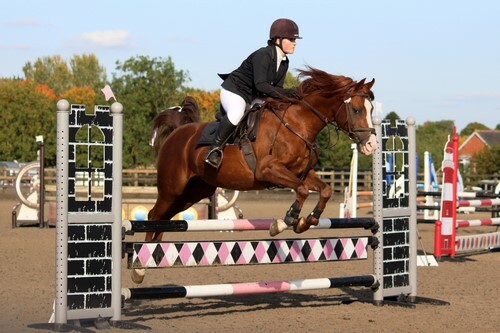 He enjoys a terrifically varied lifestyle that includes jumping – which he is keen to do at a higher level than British Novice (90cm-1m) – cross country when I have the time, a bit of schooling, and short, fast hacks. Aside from these, he has also showed potential at my latest ‘have a go’ sport at University; Polo. The speed, precision and agility needed for polo are characteristics that Arabians are known for possessing and Marcus is no exception. 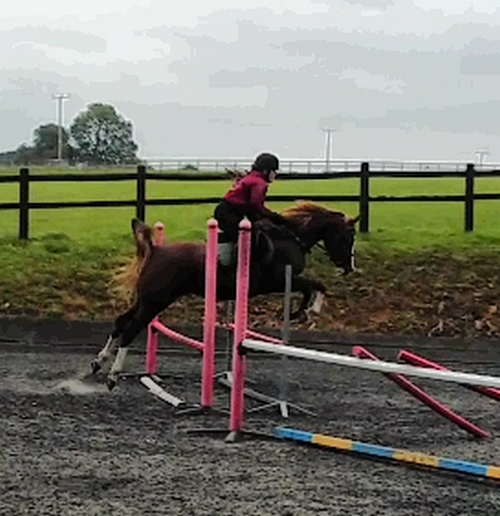 Although I have no desire to go beyond University level in this sport, Marcus may well find himself becoming a bit of a practice pony for ‘stick and balling’ before any competitions that I do. Naturally, even he faces some rivalry when it comes to being my practice polo pony; unusually from a ‘girlfriend’ rather than any of his progeny; Avonbrook Green Rose (Vert Olive x Bint Zaehaebi). 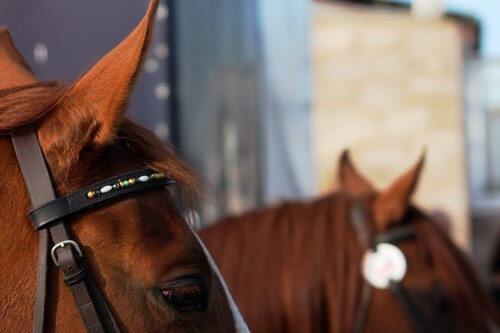 Having raced once and completed almost 600km in endurance, Rosie is practically designed as a little Arabian polo pony. Although I find the steering and seat position in polo a little unsavoury, she is very responsive and thinks it’s jolly good fun so I can see myself buying both her and Marcus some polo bandages at HOYS; just watch out for me with a mallet in my hands! While this selection of Arabians keep themselves busy, one horse just coming back from his holiday is Avonbrook Silver Augury (Marcus Aurelius x Caveland Calypso). 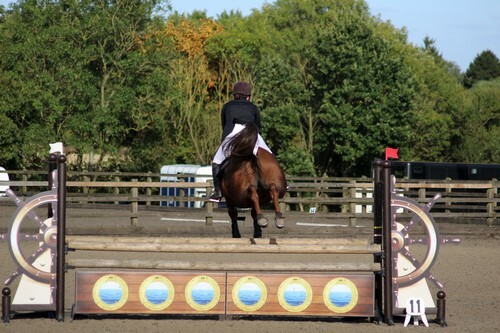 I love Prince, I really do, but it was getting a little bit worrying when I didn’t have the professional experience to guide and support him when the jumps got bigger and he needed me more. My nastiest habit was dropping the contact and not keeping my leg on just before take off, essentially disappearing as he needed me to support him. He never did anything truly awful but he was beginning to question my leadership and, passively intelligent boy that he is, started to make up his own mind about whether we would approach a jump, let alone actually stagger over it. I am pleased to report that, although I’m keeping it small and simple, Prince ‘the wonder-giant’ Bertram is back, better than ever and relishing the praise when he bascules over 90cm. To be completely honest, I extend my praise to myself as well when I get it completely right but all positive reinforcement is positive nonetheless. I look forward to start getting him back out and about over the coming weeks, most likely with Erica present to keep us going in the right direction. Among the horses and the competing, both of which I refuse to ever give up on, I have also started studying Psychology at the University of Birmingham. Although it’s been an emotional few weeks settling in, not helped by being half the world away just a week before starting, I am very grateful to be at my first choice University, in my first choice residence, studying such a malleable subject. It’s a comfort to know that I can jump on a train home without much issue and mum and granny will never be able to get rid of me, not that I think they would want to. I also managed to pass my driving test on my first attempt just a few days after returning from Canada which was a surprise to say the least, but I did at least drive on the correct side of the road! 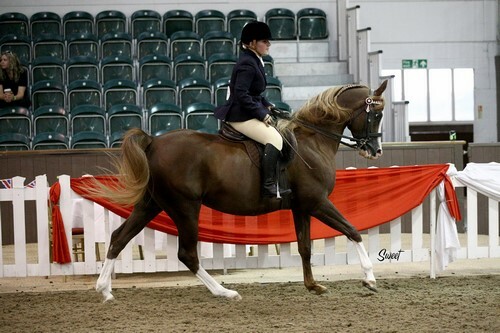 Once again, September has been a truly mad month and I look forward to the excitement that October brings; from Horse of the Year Show (HOYS) – where I will be spectating, again – to the NSEA Championships with Odin in a couple of weeks.